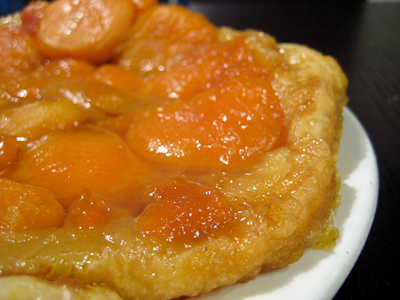 This week's Tuesdays with Dorie (TWD) recipe was chosen by Laurie of Slush: Tarte Tatin. It's a particularly special week because it's TWD's 2nd anniversary! I can't believe it's already been two years since I first joined! I have learned so much during my time with the group and up until the birth of my baby, I had hardly ever missed a week. I'm hoping that once things settle down some, I'll be back to baking weekly... but for now, I wanted to make sure I didn't miss this special anniversary week! Plus, I love tarte tatin and couldn't pass up the chance to make it myself. I originally wanted to make Apple Tarte Tatin, but the baby seems to be going through a growth spurt right now so she isn't allowing me very much free time. I meant to make this yesterday but didn't get to it until this afternoon. So, instead of having to peel and slice a bunch of apples, I opted to use canned apricots instead. I also used frozen puff pastry instead of making my own pie or tart dough to save some time. I burned my first batch of caramel, despite watching it religiously and being careful with the heat... it was getting pretty dark and I wasn't sure if it was burnt, so I scooped a small bit out with a knife, let it cool, and then tasted it - definitely bitter. So, I dumped it out and started over and heated the butter and sugar until it was just barely caramelized. I think I didn't cook my caramel mixture long enough, though, because when I flipped it out of the skillet, it was very soupy. Next time I make this, I will just heat the butter and sugar slowly over low heat instead of medium heat (I think I waited too long to turn down the heat the first time). Well, despite the soupy mess, my tarte tatin was fantastic! The buttery, caramel-y taste combined with the fruit and puff pastry was divine. Thanks, Laurie, for picking this recipe. Moreover, thanks for all the hard work you do as the founder of TWD. If you would like the recipe, you can find it here. Make sure you check out the TWD Blogroll, to see how everyone else enjoyed this wonderful French pastry. 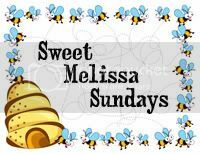 - Caramelize your sugar over low heat, not medium heat, to ensure it becomes a deep caramel color without burning. - I baked my tarte tatin in a cast iron skillet for about 50-55 minutes, until my puff pastry was golden brown. Looks wonderful. Great idea to subsitute apricots. Ooh, you're the first one to do something other than apples. Apricots sound really good. It looks great. It's been fun being in the group of great people/bakers! Having a giveaway on my blog today! Wow, love your idea of using apricot instead of apple. Sounds really wonderful! Lovely job! I am really so curious about doing the same tarte with other fruits. Yours looks wonderful! I love that you used apricots. Lovely! Best wishes for you and your babygirl in the New Year. Lots of firsts to look forward to. It's hard to believe that it's been 2 years! It's been fun baking along with you all this time. I made the cake, but now I want to make the tart! What an awesome idea! Love apricots, so this sounds like the perfect variation. Your tart looks fantastic! I love apricots, so I'm sure it would be delicious with them. Congrats on the baby! Glad you're finding a little time to bake. I like the idea of using apricots - that sounds delicious! And much easier than prepping all the apples. Your tarte tatin looks great! It took forever for me to get the pretty amber color I was hoping for, and I was terrified of burning it. I am happy it all turned out well, since this is so darned good. The apricots look delicious! It looks great, and apricots sound delicious! Your tarte looks amazing Jamie. Happy New Year. that looks good! apricots are a fave of mine!! Apricots sound perfect for this tart. Lovely. I just wanted to stop by, say hello, and see how you're doing- I'm sorry I haven't been around recently, but I hear you have a new addition! Congratulations on your sweet baby girl :) That is so wonderful and exciting! Wanted to wish you and your family a very happy New Year filled with much love and good health! I'm glad SMS is back in action, and I can’t wait to enjoy another fun, fabulous year of baking and blogging together in 2010! Have a great week and I really hope to talk to you soon! 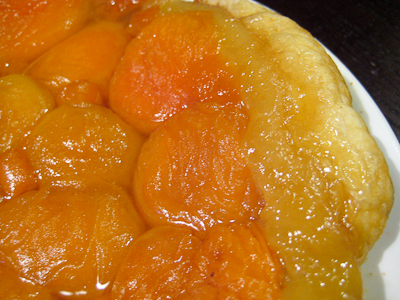 P.S.- your tarte tatin is GORGEOUS and I love the apricots!